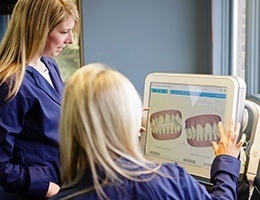 Compared to traditional, film-based dental X-rays, digital X-rays are a huge leap forward in almost every way you can imagine. They can create crystal-clear images in almost no time, they don’t require toxic darkroom chemicals to be developed, and better yet, they also expose our patients (and us!) to 80% LESS radiation when they are used. 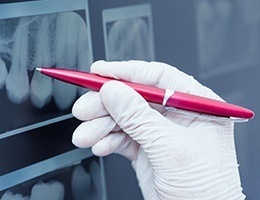 And, the images can be easily sent, stored, and displayed on a nearby monitor for you to go over with your dentist. If you’ve ever had a dental impression taken with putty, then we bet it wasn’t exactly your favorite experience. Now, we can create fully digital 3D impressions using our iTero scanner. This small device works by gliding effortlessly around your mouth to take dozens of unique images of your teeth. On a nearby monitor, you can watch as they are quickly “stitched” together to create your impression. 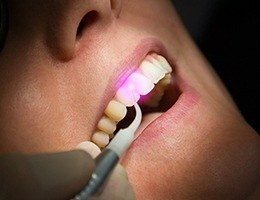 Compared to the old way, this process is faster, more comfortable, and even yields better-quality impressions! Our soft tissue laser enables us to perform even the most sensitive periodontal (gum) procedures with relative ease. 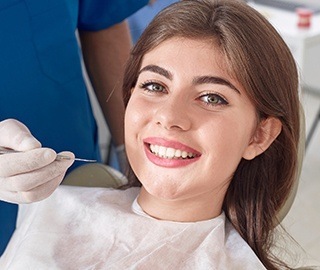 To treat gum disease, its extremely-concentrated beam of light can instantly vaporize harmful bacteria located along the roots of the teeth without harming the surrounding healthy tissue. And cosmetically, we can even use it to perform quick and painless gum lifts to give patients that perfectly balanced smile. With it, treatment is always quick, comfortable, and successful. 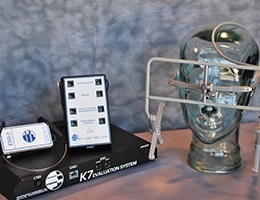 This is used in measuring the activity of the jaw and neck muscles. It is also used to give us a “real-time” view of the muscle activity when the jaw is in any specific position. It allows Dr. James Olsen to know exactly where your jaw is most comfortable. We commonly see that our TMJ patients have muscles that are hyperactive when their teeth are in their habitual bite. We can then determine where the bite should be when the muscles are at a physiologic rest position. One of the most common symptoms of TMJ problems is quite a bit of muscle tension in the face and jaw. Our TENS unit gives us the ability to massage these muscles to increase blood flow to the area and flush out troublesome inflammatory compounds. Small electrodes will be attached to your jaw that will send gentle pulses of electricity to them to relieve chronic aches and pains in just a matter of minutes. 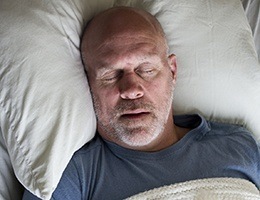 Is your life affected by chronic snoring or interrupted sleep? If so, don’t wait to seek a diagnosis and treatment from Dr. Olsen. You could be suffering from sleep apnea, a condition that affects some 20 million Americans every night. With a custom oral appliance worn during sleep, you can prevent snoring and receive a full eight hours once again.